Open die forging is sometimes called smith forging because of its similarities to blacksmithing. Forging is the process of shaping metal through the application of force. It can be done while the metal is cold or hot but not when it is molten. Open die forging is done by impacting a die onto a workpiece that is resting on a stable base called an anvil. 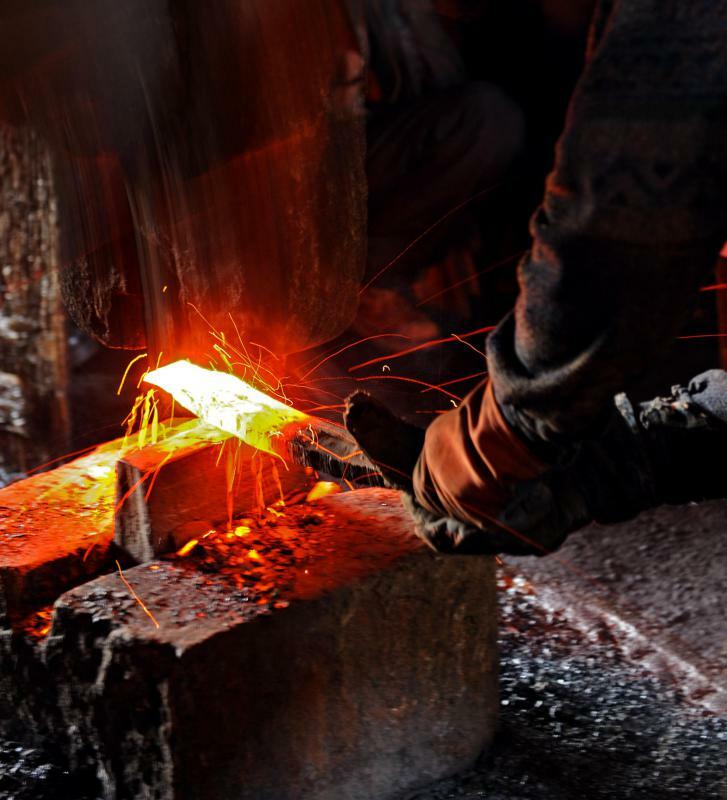 Since the process is analogous to the way metal has been forged for centuries by blacksmiths using a hammer and anvil, it is also called smith forging. It is different from closed die forging in that the workpiece is not enclosed by the dies and the dies themselves are more like tools with simple shapes and profiles rather than resembling enclosed molds. The dies used in open die forging are simple in shape and open on the sides to allow the workpiece to move and extend beyond the edges of the die and the anvil beneath. The die is powered by a machine that causes it to descend upon the workpiece that rests upon an anvil or another open die. Open dies are typically flat but may also be convex or concave. Concave dies are used for edging, which shapes the edges of a workpiece, creating defined edge shapes. Convex dies are used to shape the workpiece by making it thinner at the point of impact. What Is a Hydraulic Forging Press? What are Different Metal Forging Techniques?